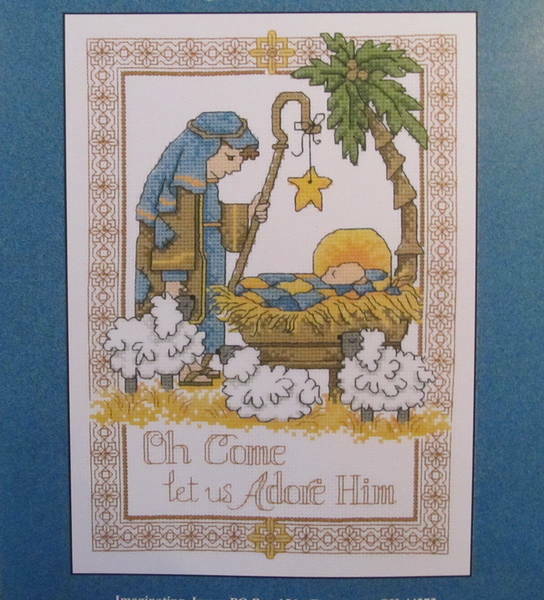 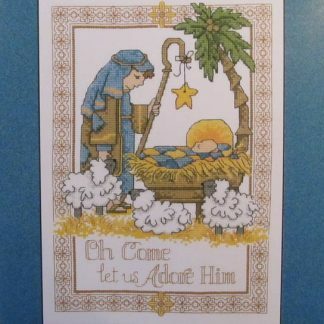 This is a kit made up by Stitch NZ of Joseph & baby Jesus. 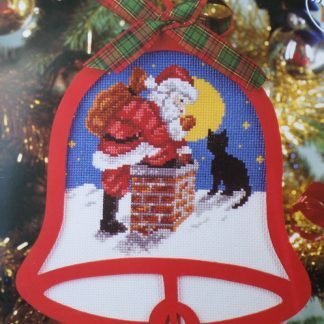 It is a simple design with great instructions and a number of handy hints. 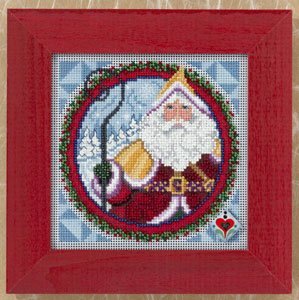 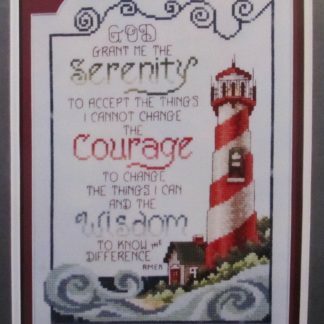 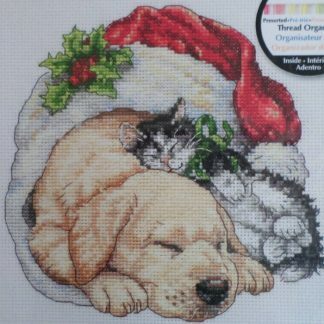 The finished size would be 18 x 26.5 cm and the kit includes 14 ct White Aida, cottons, one pack of beads, a needle, chart & full instructions.